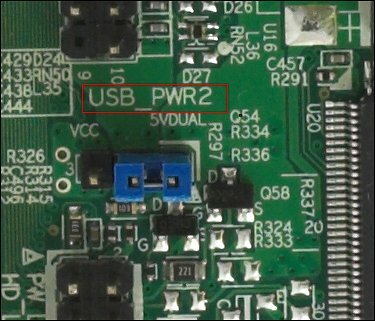 This is part 2 of the “USB device not recognized” article, continuing with point 7. Beware though that this is more for the professional! I take no responsibility if your computer may end up with more damage than before if you don’t know what youre doing or fail to properly educate yourself. A similar professional solution to solve this problem may be to turn off your computer, unplug it from all power and then proceed to physically clean your mother board. After you’ve cleaned it, release the jumper of the USB power in the motherboard. #8 There may be a virus on your computer which blocks your flash drive and other things to work properly. In that case, do a scan with your currently installed anti virus program and remove anything it finds. If that doesn’t work or you don’t have an anti virus program installed yet, its time that you download a good program from the internet. Personally I recommend malwarebytes Anti-Malware which has a great free version and can be registered for real time protection with a one time fee. This program has recovered and saved my computer many times from infections that other AV programs weren’t able to fix, let alone discover! They have a great help forum too. But there are many other programs to choose from so just scour the net for free (trial) versions. #9 Some have also suggested to change a few registry keys but just like with #5, I pretty much leave you on your own with that one! This forum post explains it: http://www.softwaretipsandtricks.com/forum/190631-post14.html. #10 If all of the above fails and you can get over the fact of losing your data, try to reformat your flash drive. This will only work if you can get the drive to be recognized on another port or operating system. Just go to my computer, find your flash drive and do a right mouse click. Choose “format”, pick the settings and file format system you like and click start. FAT(16) can be used for best performance with drives of 2GB & below, but generally FAT32 is recommended with cross-compatibility for most operating systems. 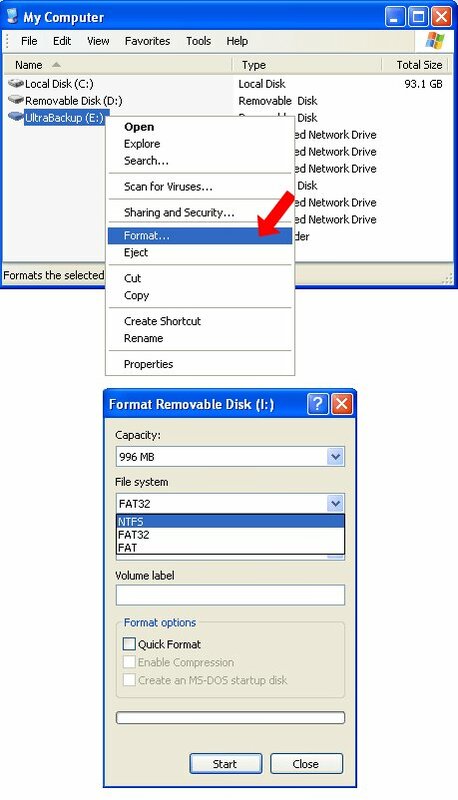 NTFS is only useful for Vista and XP in case you want to get additional controls like group or owner settings and file permissions. Windows 7 even offers a USB specific format now, called exFAT. There may be a driver or firmware update for your flash drive or some fix posted. If not, you should just contact them and hopefully they can get it to work for you. If you still have a valid warranty on the product you may get a replacement sent to you. Or you could just buy a new flash drive. Since most are pretty affordable these days this would be the easiest and a possible “take it up a notch” solution. If you have critical data stored on the malfunctioning drive though, this is a tough luck solution (like #10). Well, that’s it. This concludes our 2-part article on fixing the “usb device not recognized” error. Hopefully your flash drive is functioning again. If you still have problems or have come across some other causes and solutions please make a comment below.